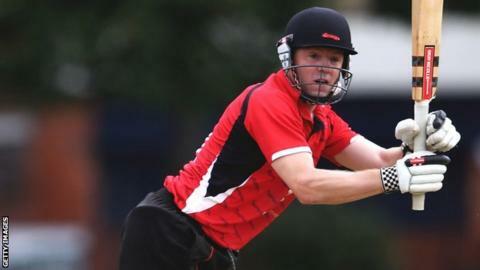 Leicestershire wicketkeeper Niall O'Brien has signed a new contract which keeps him at Grace Road until the end of the 2016 season. The 33-year-old Ireland international joined from Northants for the 2013 season, and has been a consistent performer despite a turbulent time for the club on and off the pitch. O'Brien said: "It's a new dawn and I am very pleased to be a part of it. "We are developing a good squad with a nice blend of youth and experience." Leicestershire have not won in the County Championship for two full seasons but new chief executive Wasim Khan believes they can win promotion in the near future under new head coach Andrew McDonald. O'Brien, who scored 971 Championship runs at an average of 38.84 last season, is part of a 15-man Ireland squad for the forthcoming ICC World Cup in Australia and New Zealand.